Crap & Couture: Hot Flash! I came across this handbag line during a recent troll through the last accessory show at the Javits’ Center. 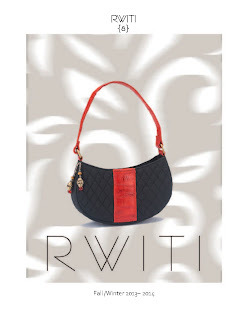 RWITI caught my eye because of the vibrant color palette, fabric and texture mix and the bold graphics. To quote the designer, Rwitti Roy, her customer is a trendsetter who looks for unique pieces and is unafraid to experiment. For example, some of the combinations include combinations like raw silk with tissue silk and leather and woven cotton and textured leather with ornamental dangling jeweled accents. 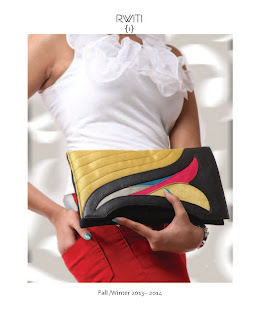 Silhouettes range from classic clutch bags to hobos and satchels. No Matter How Hot or Humid, There Is No Excuse To Miss Getting A Rwiti! 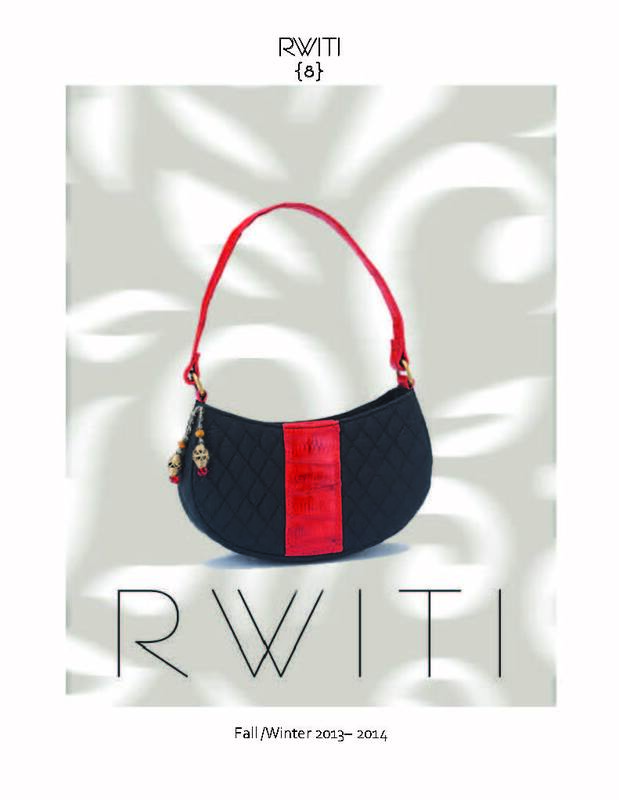 So if you’re on the hunt for something new and different go online to www.rwiti.com for info on retailers who carry the collection. Until next time, happy hunting, C&C.